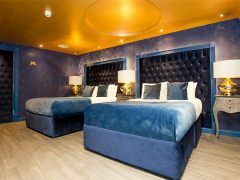 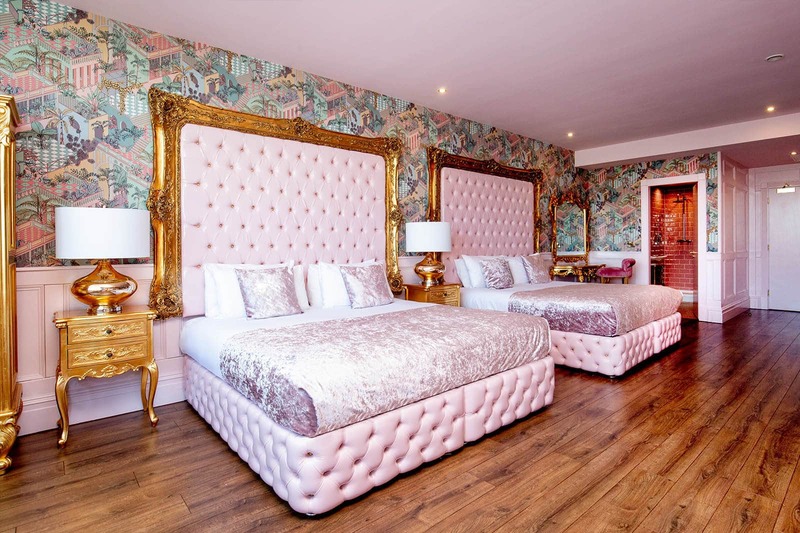 Featuring two luxurious adjoined suites sleeping up to 12 people in each, these plush rooms have been designed with comfort and decadence in mind. 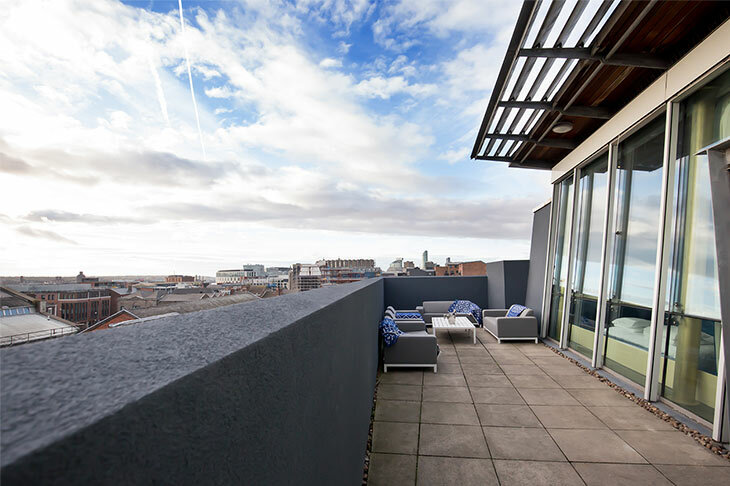 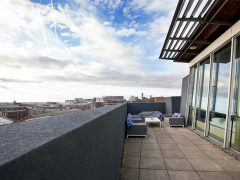 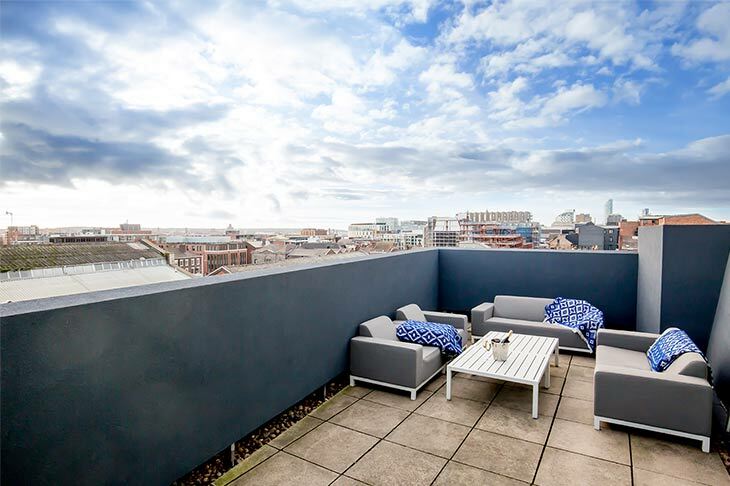 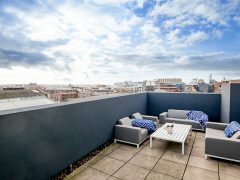 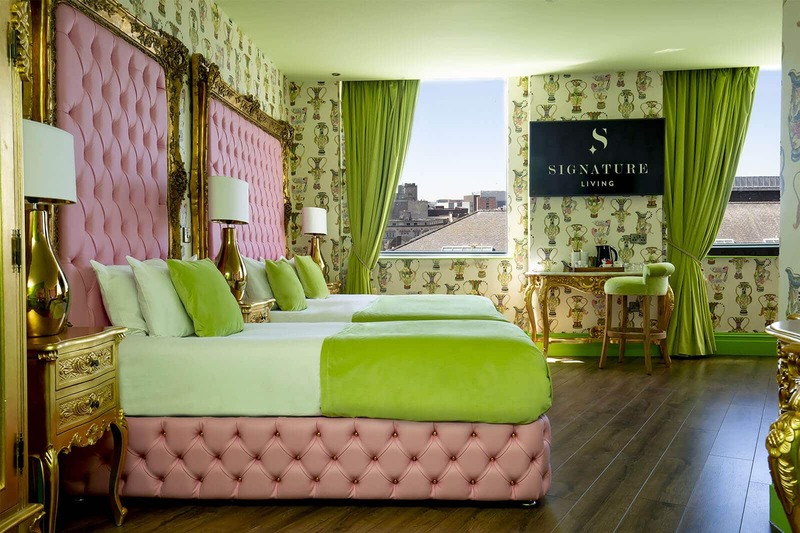 The crowning feature is the spacious private terrace, overlooking the incredible Liverpool sky line we all know and love, you won’t find another hotel room like it in the city. 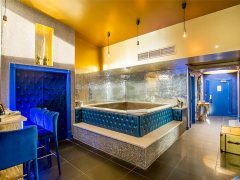 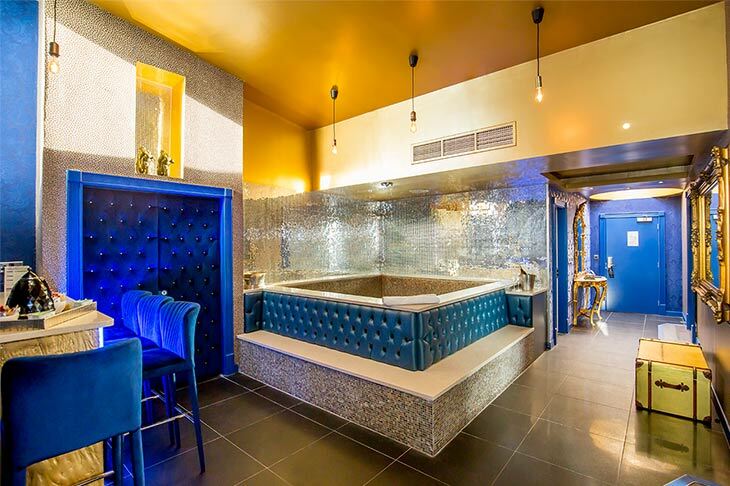 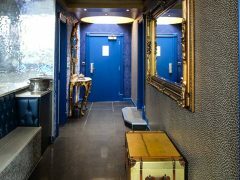 Take in the spectacular views as you sink into the amazingly large roman bath, enclosed by an elegant mirrored, mosaic wall; you’ll feel on top of the world. 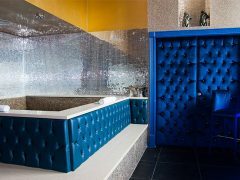 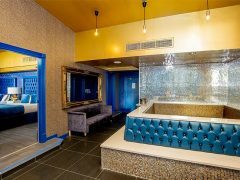 These unique suites feature a private bar, fitted with everything you could ever need and are interconnected so larger groups can book out the whole floor. 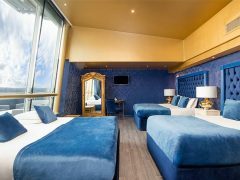 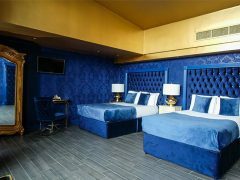 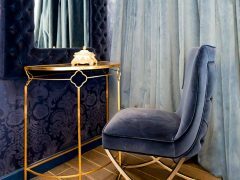 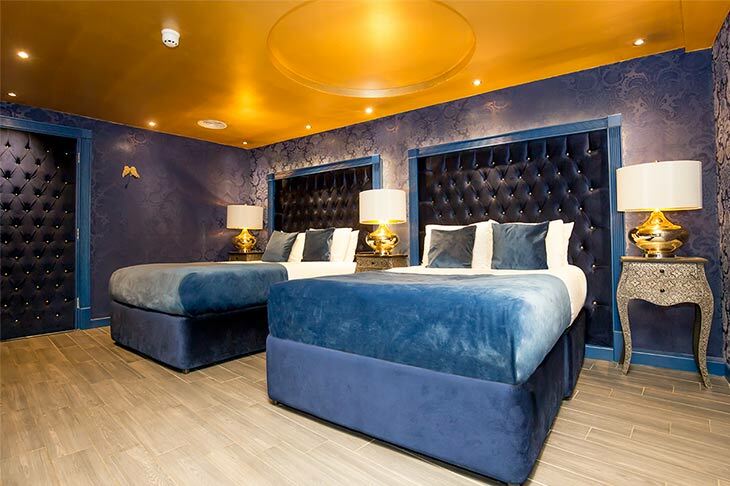 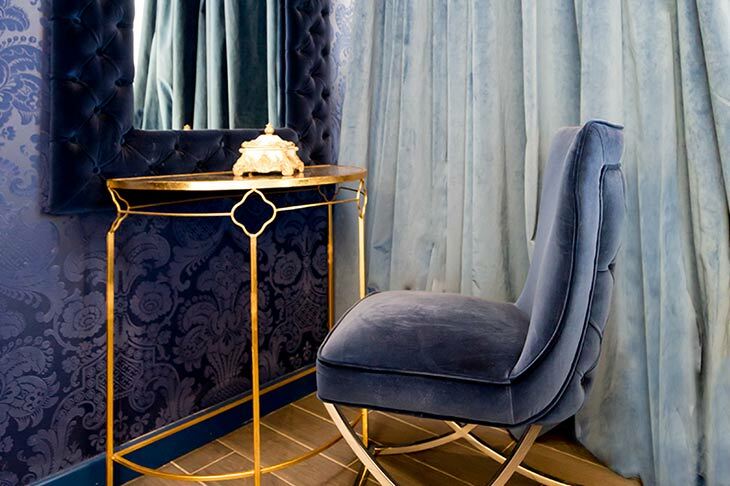 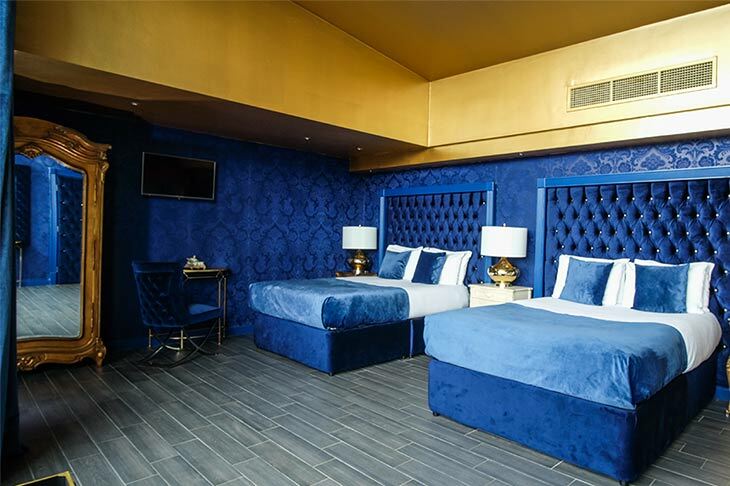 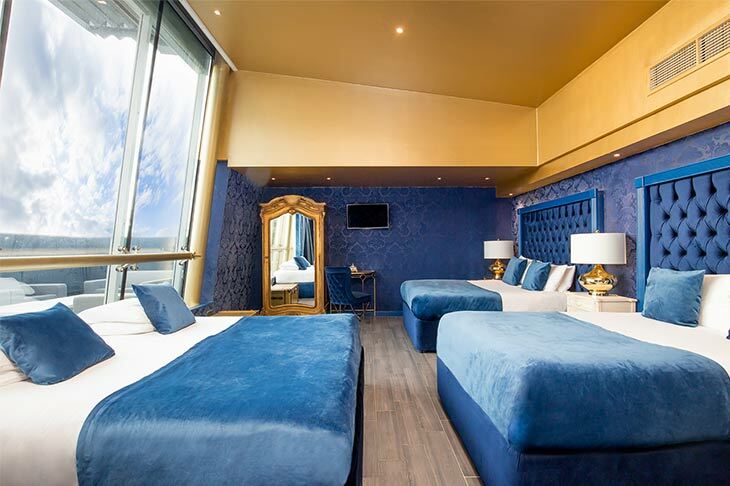 Beautifully decorated with royal blues, lush velvet, golden detailing and sophisticated starry wallpaper, the Skyline Suites are fit for kings and queens. 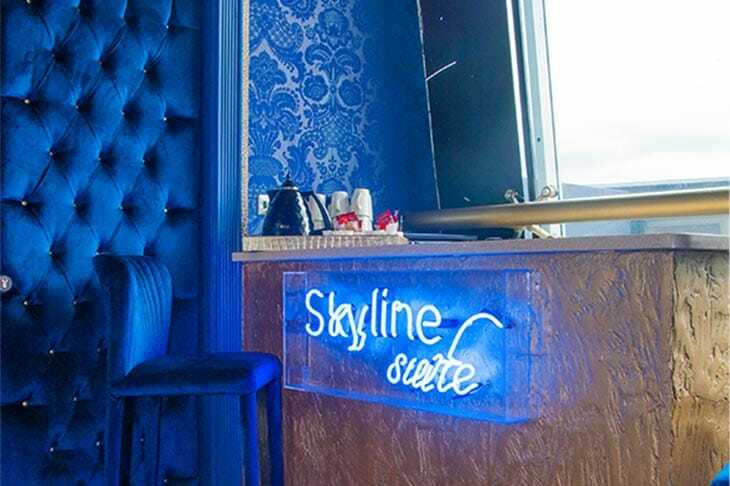 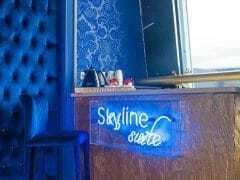 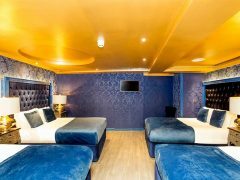 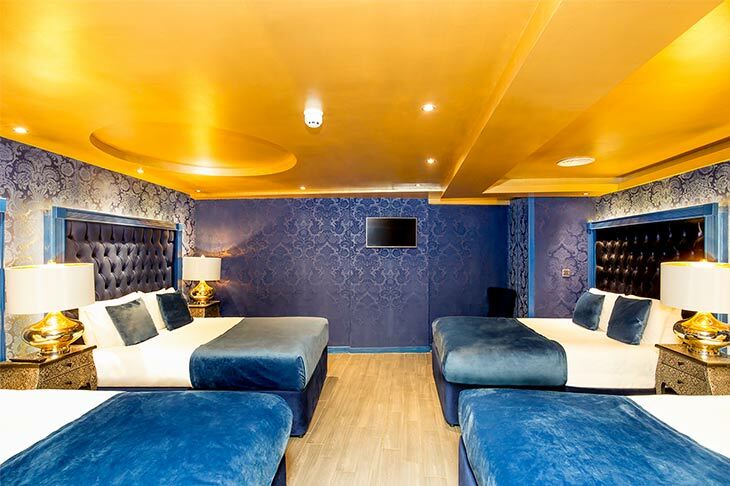 Located in the heart of Liverpool city centre and just a short walk from the city’s finest bars, restaurants, shops and attractions, the Skyline Suites are the ideal place to stay if you want a hotel with a view like no other. 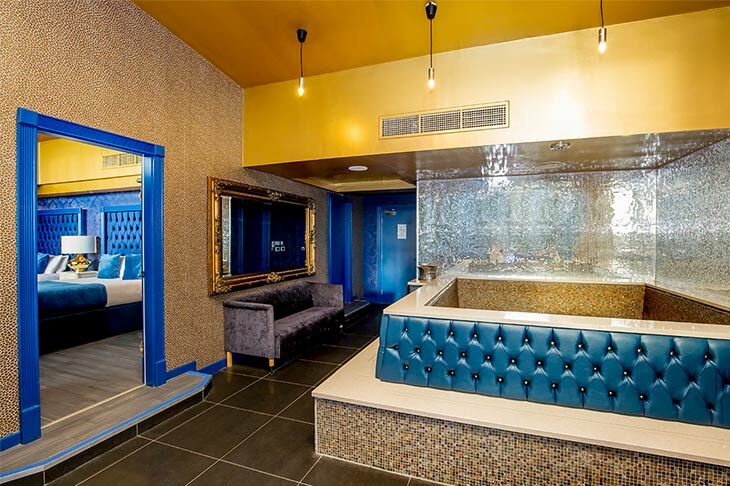 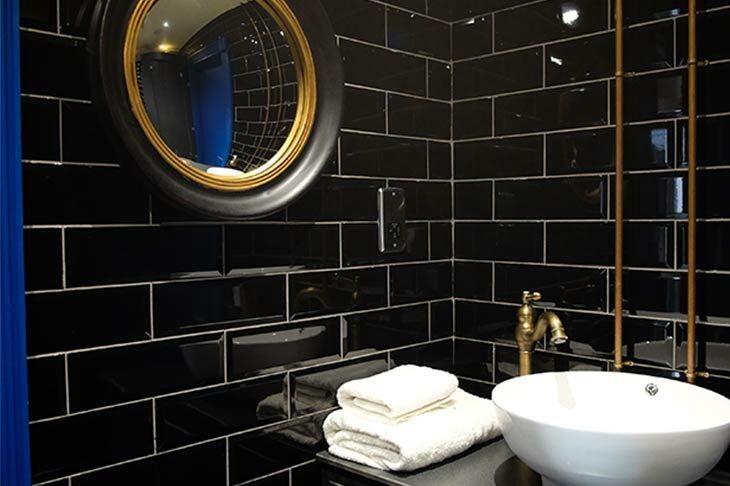 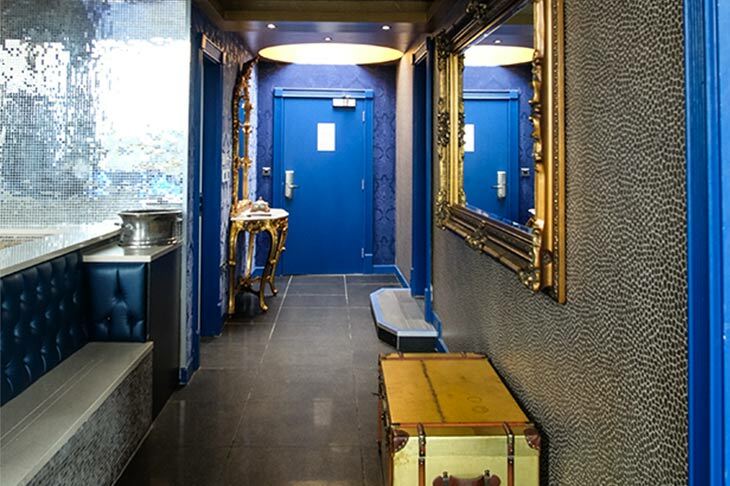 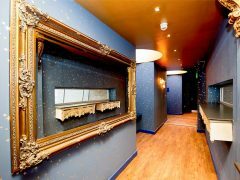 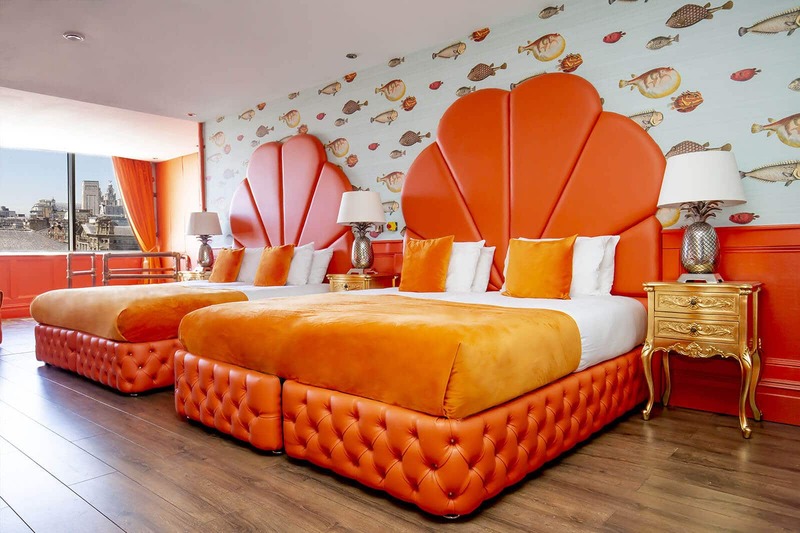 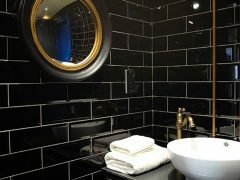 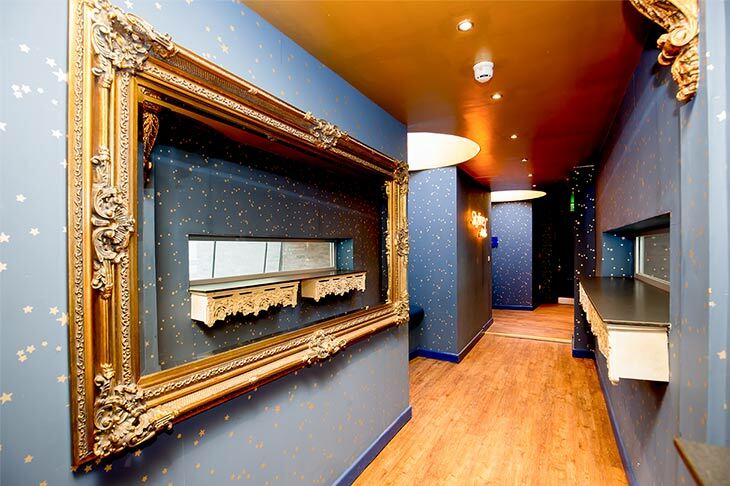 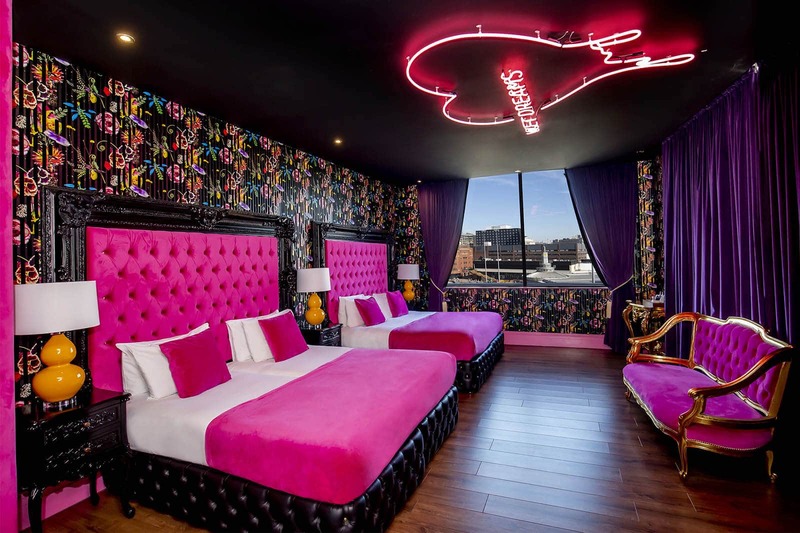 Located in the heart of Liverpools famous party district on Seel Street and just a short walk from the busy Bold Street, where you find an endless supply of independent bars, restaurants and boutique shops. 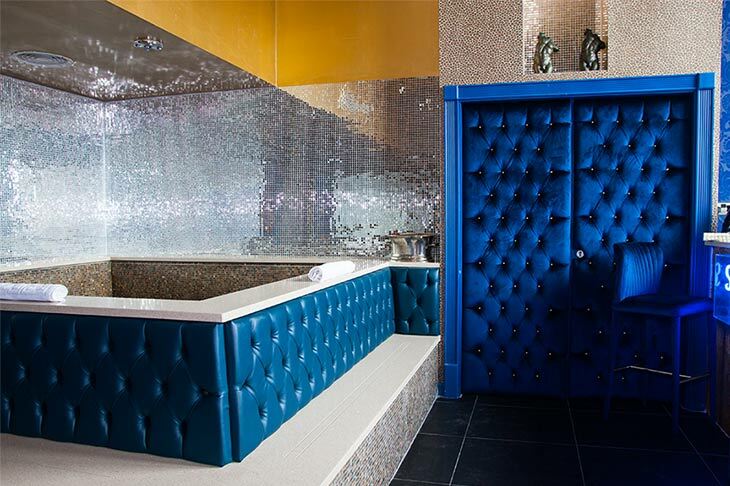 The perfect base for a fun filled weekend.